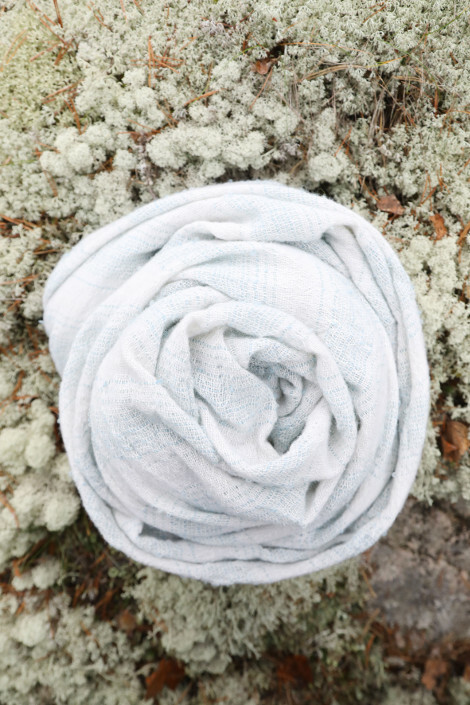 The pure Nordic nature captured into cuddlesome textiles that enhance our wellbeing. 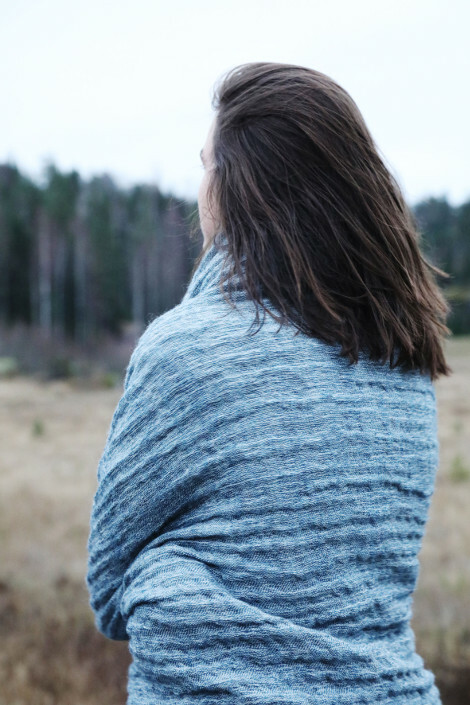 We combine the pureness of the Nordic nature with nature’s own fibres to create wovens that not only feel good but have a positive effect on wellbeing. 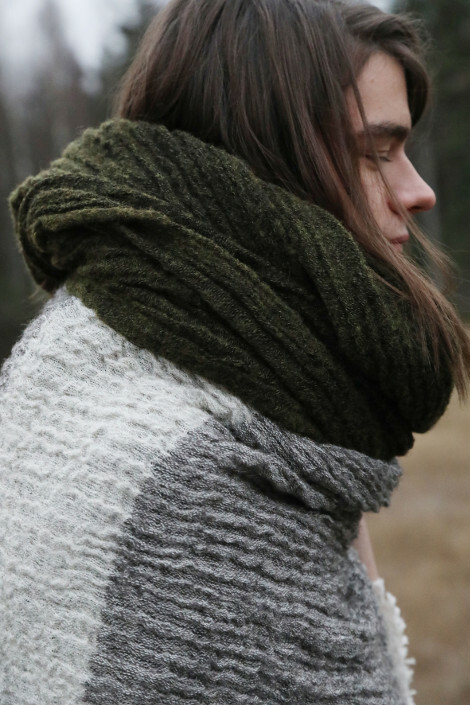 Driven by our love of natural wool and the passion for designing functional woven textiles we have created completely new combinations of natural materials, Kultavilla woollens. 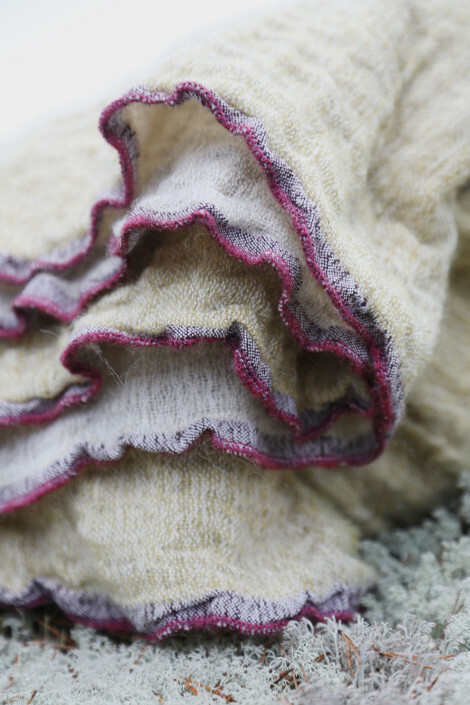 Our textiles exhibit the nature’s organic structures and soft colours. These are the functional woollens either for cold winter or for milder seasons. The choice is yours! WOOL, such fine material that no technology can copy its features. 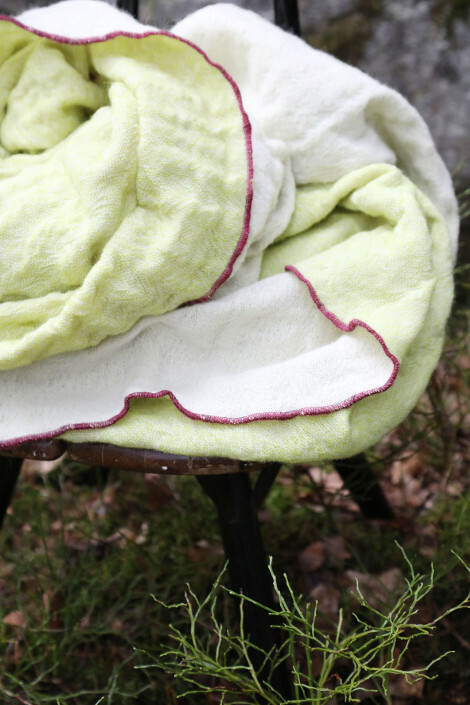 It’s warm, soft and holds all the features of cuddliness imaginable. To make a long story short, with all its fine qualities, wool is the wonder fiber! 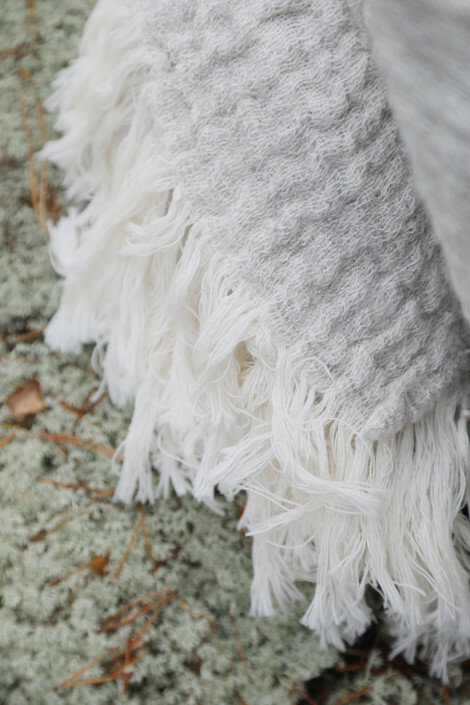 Our mission is to bring about the best qualities of the fluffy Finnsheep wool, and the softest, untreated lambswool for your benefit, for cold as well as for milder seasons. Different combinations of wool, manufactured with traditional techniques. 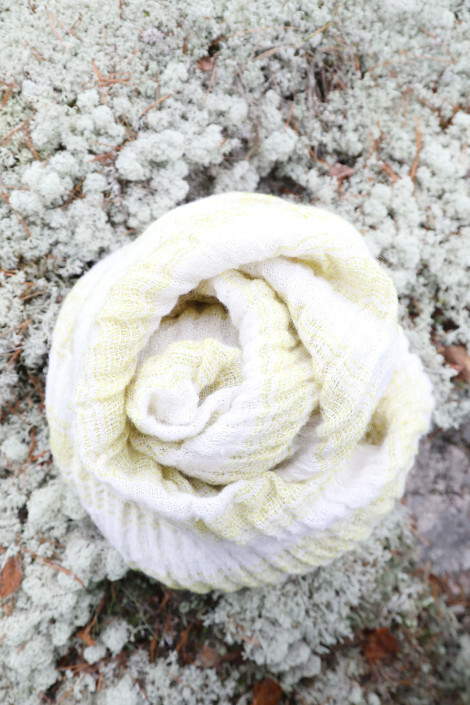 Natural dyed wool yarns - magic happens! 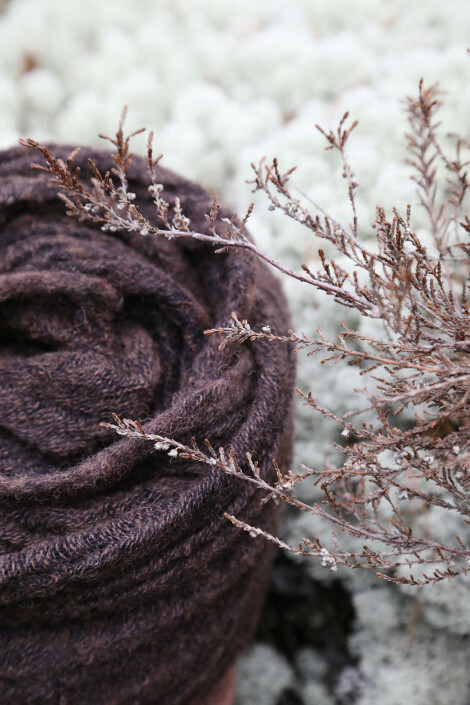 The rich colour tones of our wool yarns are created with ecological natural dyes, utilizing as well the natural grey and brown shades of finnsheep wool. All our dyes are produced in ethical and sustainable manner. Yellow dyes (and greens) are of weld plant (Reseda luteola) origin. Red colours are from lac dye (Laccifer lacca) and madder (roots of the Rubia tinctoria plant). Bright reds are isolated from resin secreted by Cochenille insect (Coccus cacti). 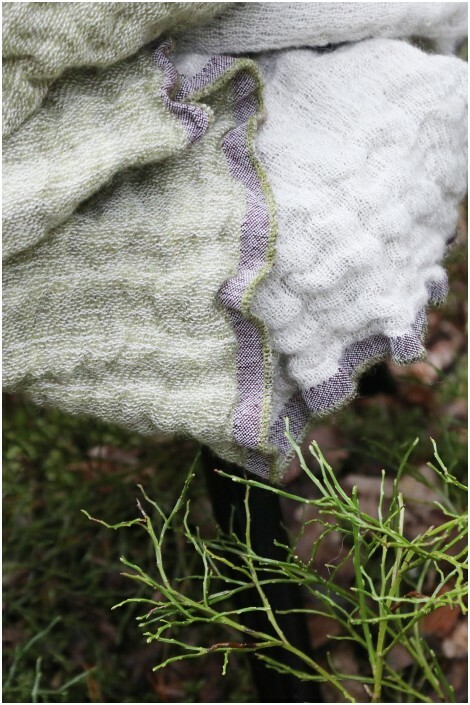 Natural dyeing is done in small batches in tight collaboration with Aurinkokehrä. Our piece dyed products are hand dyed. Colour shades may vary from lot to lot, but we think that is what makes each woollen unique! A colourful family! 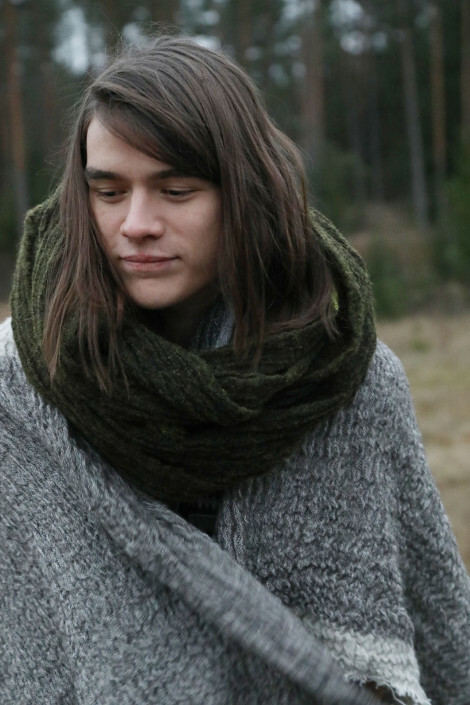 Blend of fluffy, natural dyed Finnsheep wool in autumn shades with extra fine merino wool. Unique pieces! Taking care of wool is usually perceived difficult, but we highly disagree. Wool’s natural wax, lanolin, is coating wool fibre’s, preventing woollens becoming dirty. Usually keeping your woollens in fresh air for a while, will be enough. 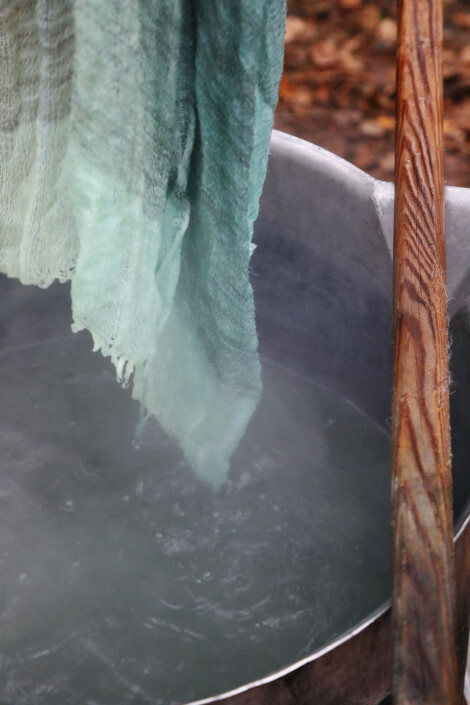 If you think that your woollens need a wash: ‘Hand wash, rinse, spin and let it dry’ is the key. Soak (10-15 minutes), spin, rinse and let it dry. Use mild detergent or soap if needed. Hand wash at 30° with mild soap. Rinse, spin, and let it dry. If you wish to use a machine wash, use a gentle wool wash program at 30°. Spin at 800 cycles for 1 to 2 minutes and let it dry. Use mild detergent or soap. 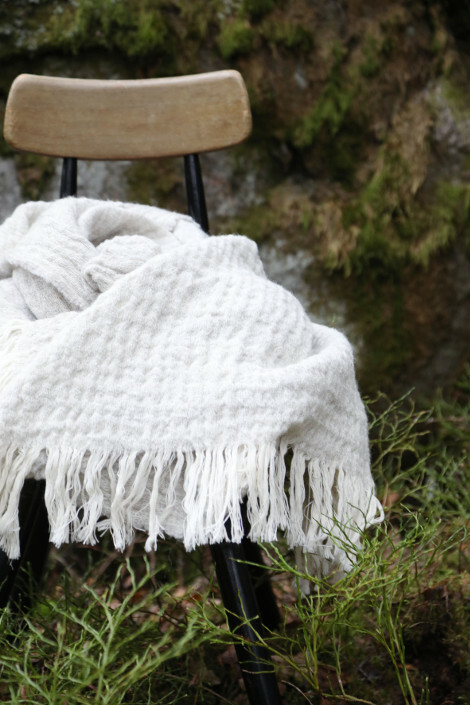 Wool in winter blankets is a blend of extra fine merino wool combined with very warm and fluffy finnish wool, origin from finnsheeps. 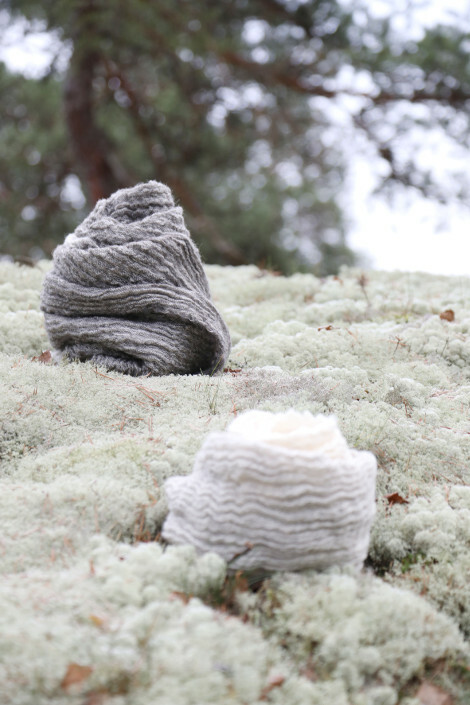 Finnsheep wool is natural without any chemical treatments, and felts easily. Pilling is a natural feature of untreated natural wool. Handle your woollens with extra care - or sheep happens! 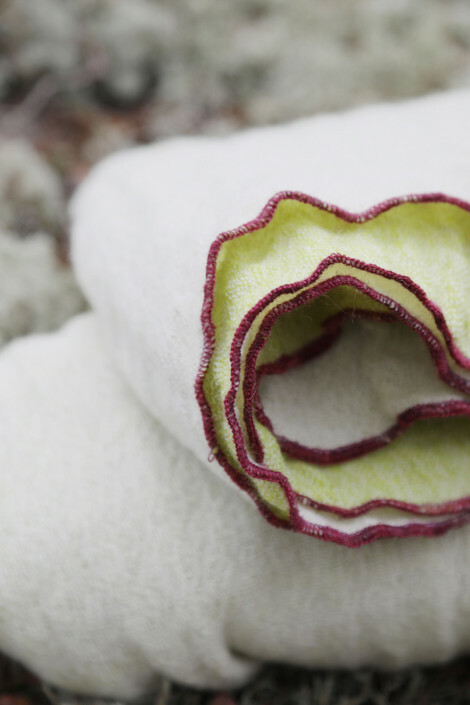 We use only natural fibres, organic cotton, european linen and several types of natural wool. 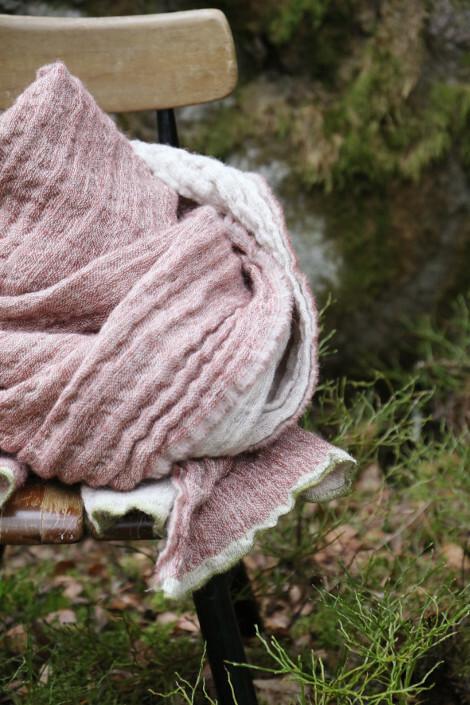 Our speciality is using finnsheep wool, as it is local, ecological, and ensures that our woollens are fluffy and warm! We have been working for years with shephards and wool spinneries to bring our own finnsheep breed’s wool into production. 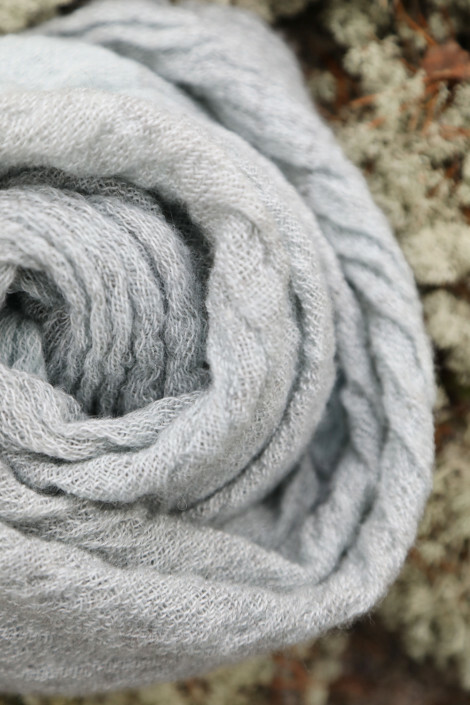 We process wool in small quantities to develop the best quality yarns for our wovens. In Finland sheeps can live a good life in small herds, enjoying the best care. 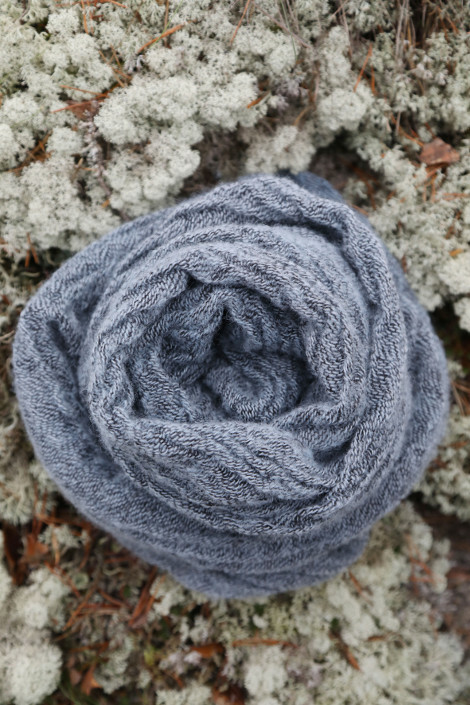 The wool is processed into worsted special yarns by a small finnish spinnery, Pirtin kehräämö. 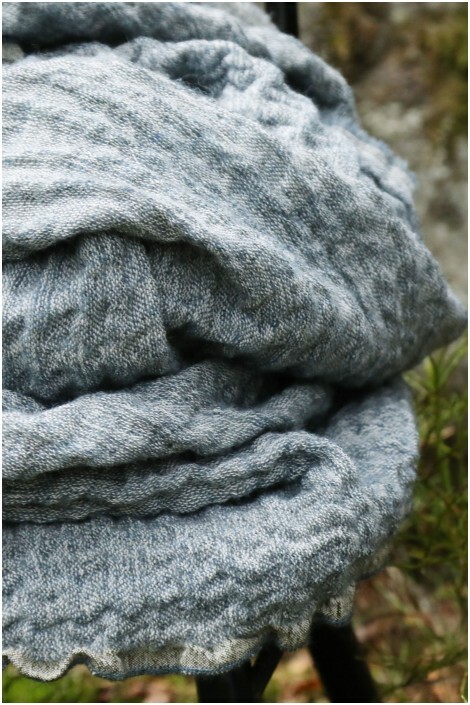 Lambswool is the soft ‘baby merino wool’ from the very first sheering of lambs. 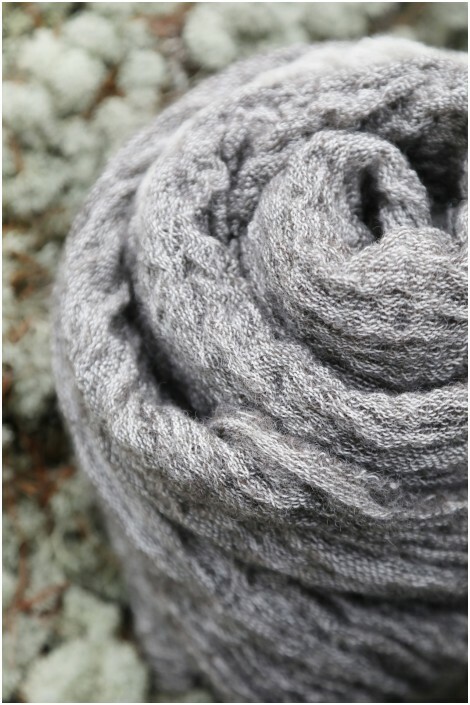 Our lambswool yarns are made in a italian fine wool spinnery. The wool is untreated, and thus without the finishing chemicals and polymers which are usually used to make ‘easy care’ products. We think that wool’s natural properties make wool georgous! 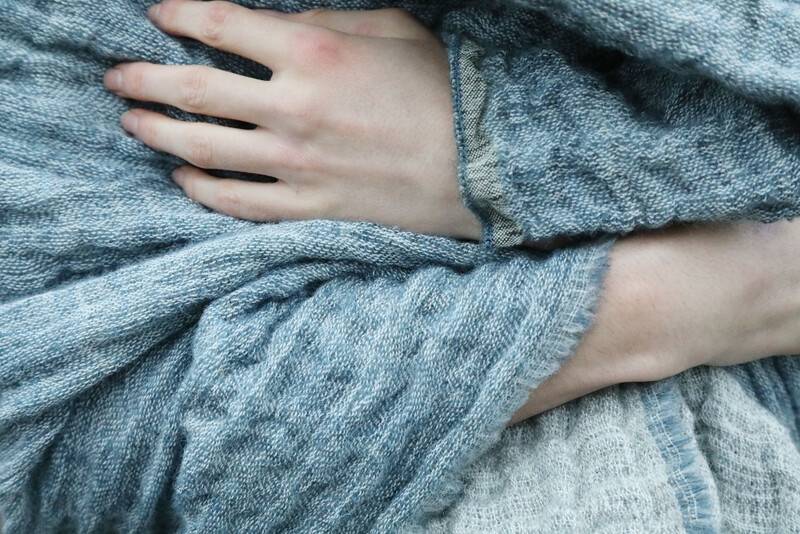 Use of baby merino wool makes our woollens soft and gentle to skin. 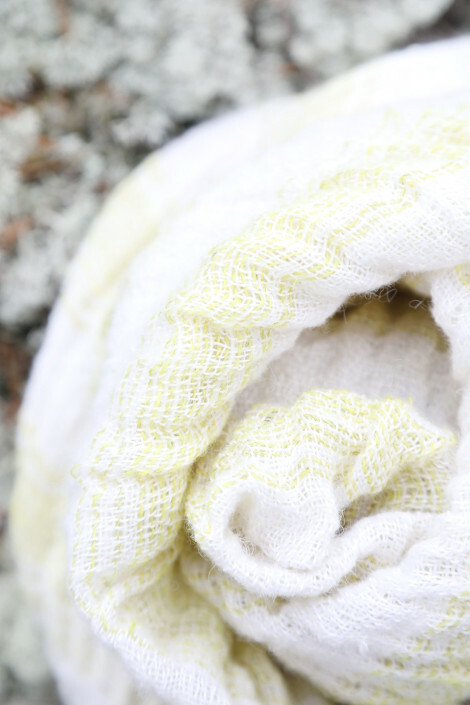 Lambswool woollens are ideal for babies and can be used as scarves or throws during milder seasons. BEST represents the highest currently achievable level of production in accordance with ecology and social accountability. BEST certification limits the number of conventional chemicals and treatments in the production chain. 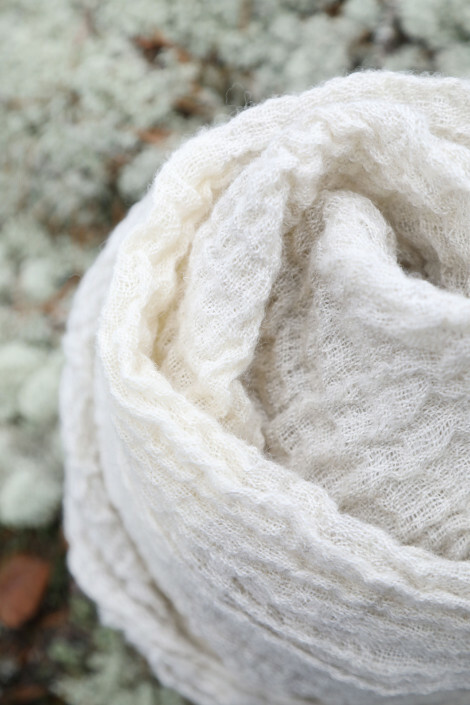 The 100 % organic wool fibres originate from certified organic animal husbandry (kbT). Since BEST is a very strict production certificate, it is only logical that just few yarns and textile products can meet this certification. 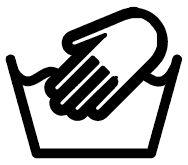 Our aim is to use BEST certified yarns in our products, when possible. We use BEST certified wool yarns made by a German spinnery specialised in high quality woollen yarns. The colour tones are custom tailored for our use. The GOTS standard ensures environmentally and socially sustainable manufacturing of cotton all the way from the fields to yarns. We buy our organic cotton from a German spinnery, specializing in fine cotton yarns. 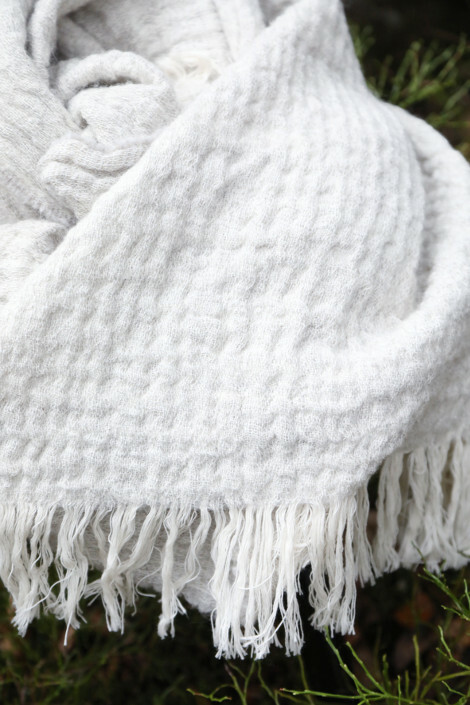 We prefer undyed, raw white cotton to minimise the use of chemicals in cotton processing. The raw white cotton is the softest one there is!